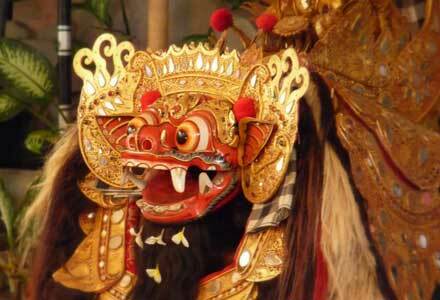 In the past, Bali was divide into several kingdoms. Each kingdom has a palace and its support facilities such as baths, park, or a resort in Bali. Then after the kingdom was left, the remnants of the kingdom remained until now and mostly used as tourist attractions. 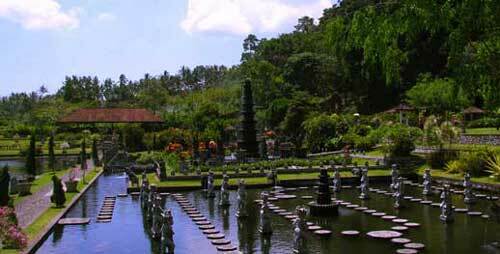 Tirtagangga is surrounded by the cool temperature with beautiful tropical garden that make it as an ideal place to visit. 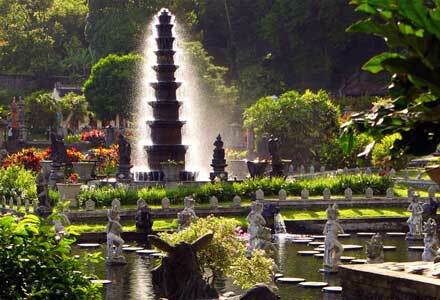 One of the park of kings and their families that used as tourist attractions is Tirtagangga Bali. This historic place is situated in the district of Karangasem Bali, exactly in Ababi village. Build in 1948 by a king who ruled at the time, namely Anak Agung Ketut Karangasem Angluerah. Tirta gangga means ‘Water from the Ganges’, referring to the Ganges river in India. Tirtagangga is also a place of holy springs which is located under the old banyan tree. This holy springs is probably the main reason why the king built this spot as his resort. Now this historic place in bali place was opened for tourists. Tirtagangga water resort Bali has 1.2 hectares area and formed into three parts. There is a section containing the lotus pond and fountain, then the pool, and the king’s palace. This place is designed with a blend of Chinese and Balinese style so that it has a very unique architecture. Tirtagangga has a beautiful scenery and provide a village atmosphere. A blend of lotus flower and the rush of water, then the graceful movements of fish fill every corner in this place. Visitors are allowed to swim in the pool and enjoying the two springs in Tirtagangga. The pool and the statues around make this place very classy looking. The centrepiece of Tirtagangga Bali is the eleven tiered fountain and there are various amazing carvings adorning the gardens. The area around this water palace is noted by its paddy terraces. The best time to visit this place is at afternoons when the sun has heated these king pools. 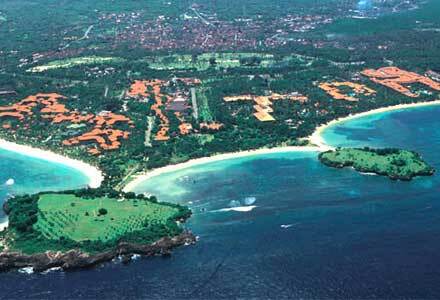 To reach this resort in Bali is not difficult. 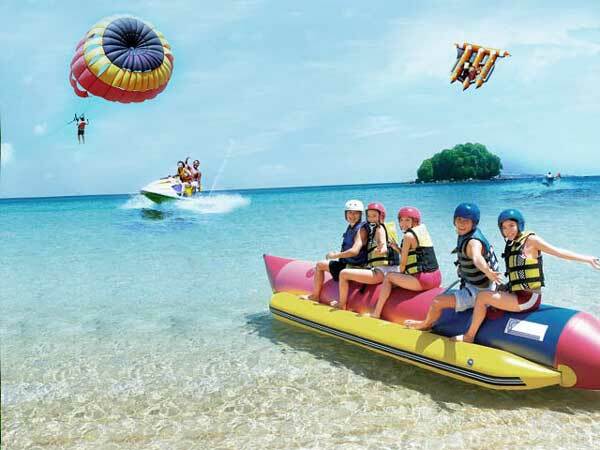 The location of this water resort Bali is about 6 kilometers from the capital city of Karangasem, while from Denpasar City about 83 kilometers and can be reached by traveling about two hours, also only 20 minutes from Amlapura. Visitors can use various transportation to reach this place. Also, many travel agents usually put this area as a package tour with other tourist attractions. In addition, as an international tourist attractions, There are various accommodation such as hotels, villas and bungalows near Tirtagangga. Some best Tirtagangga hotels namely Amed Cafe, Coral View Villas, and Hidden Paradise Cottages. Our magazine is just headlining this Tirtagangga resort, thanks for your info. Anyway, we make some research and got more detail about the history, send me email and I’ll send them for you for free. Great info! I have already been searching for something such as unique bali destination like this. Thx!